After doing much research, I was unable to find any information on the web and even forums regarding the install of the Tein EDFC Kit. Several forum posts pointed out a problem with the motor mounts being to large to fit under the E36 hood, as well as Tein’s initial SS kit wasn’t compatible with their EDFC kit. At some point Tein revised the kit to incude new smaller motors, and revised their super sport kit with pillow ball mounts to accept the EDFC kit. However, I wasn’t entirely sure the motors would still clear the hood, but decided to be the guinea pig as I found a lightly used kit on eBay for $150 bucks. If you choose to mount the EDFC in the sunglass holder, you’ll need to modify your sunglass holder to fit the unit, as the depth of the control box is greater than the depth of the sunglass holder. You’ll need to cut a portion of the back of the sunglass holder to fit the unit. The first step is to remove your OBC. This will allow you to remove the sunglass holder, simply pull up on the sunglass tray once the OBC is removed. Wiring is pretty straight forward. I used the cigarette lighter for a constant 12v as well as my ground. 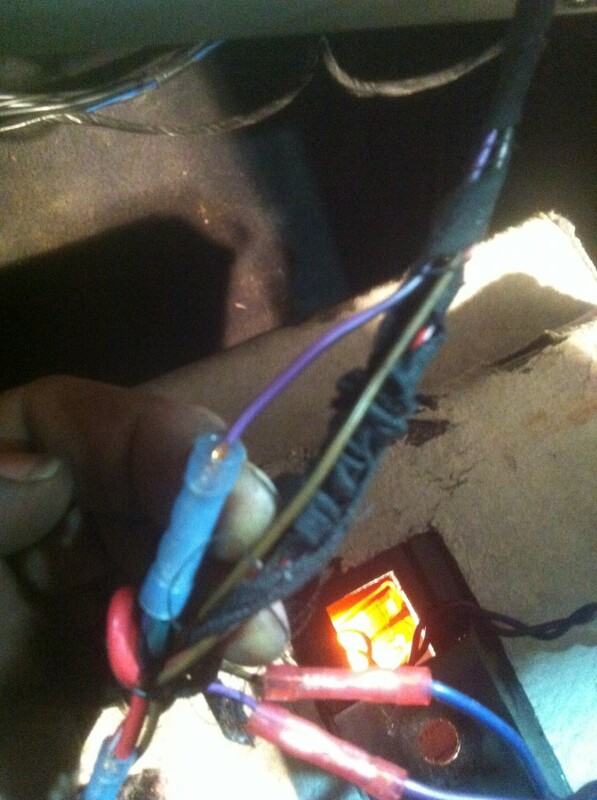 I tapped a 12v ACC wire from the glove box light shown below as it’s the first and closest ACC wire I could find. However, a multimeter helps locating an acceptable wire. It’s usually a purple wire, however depends on your model and year. The dimming wire is optional, I chose not to tap into the headlight switch for the time being. I chose to mount the EDFC control unit in the sunglass holder. The rear motor wires were then run under the center console, under the rear carpet, under the rear seats, and into the trunk. 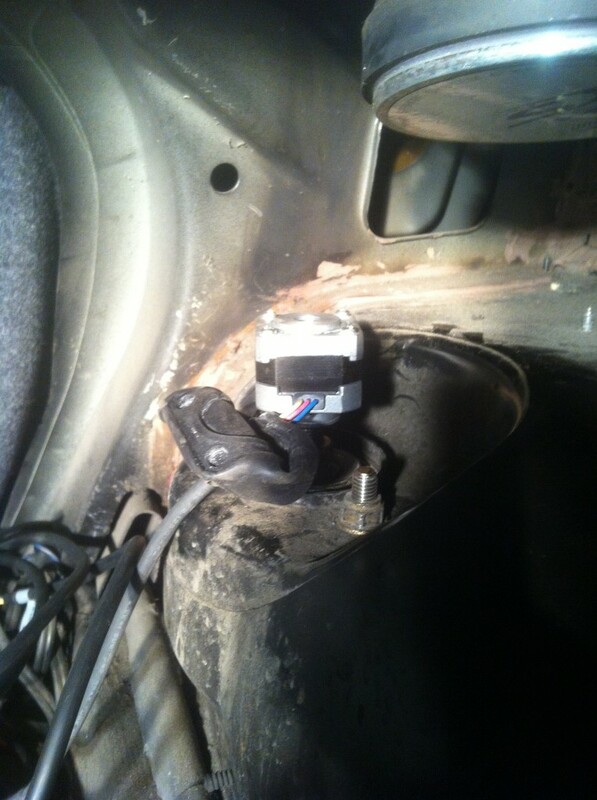 The front motor wires were ran beind the glove box through the firewall with the existing wiring bundle. 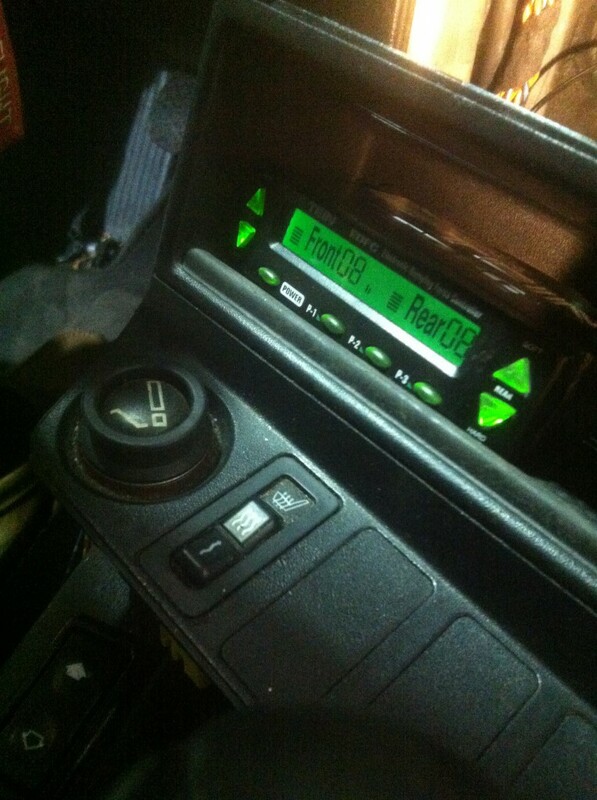 By mounting the EDFC unit in the sunglass holder, it provided and excellent area to tap into wires as well as run them. The location was also very ergonomic with regards to visibility and adjustment. Here you can see the motors mounted on the rear shocks before I pulled the covers back over the motors.